Nurturing, guiding, and modeling the future of young lives is challenging. Can there be a career more rewarding than that of an early childhood education professional? The Early Childhood Education program at CCCC focuses on the needs of children birth through age 8. Students learn to communicate with children, to understand their needs, and to develop their skills. Students learn about children and family, about child development and guidance, and about children with special needs. Courses in creative activities, math, science, language and literacy for children are taught. The program is enriched by hands-on internship experiences. At CCCC, you will enjoy small classes, up-to-date materials, and qualified instructors who care about your success. Instructors have earned master's degrees as well as field experience and teaching backgrounds. Their commitment to educate future early childhood teachers is strong. 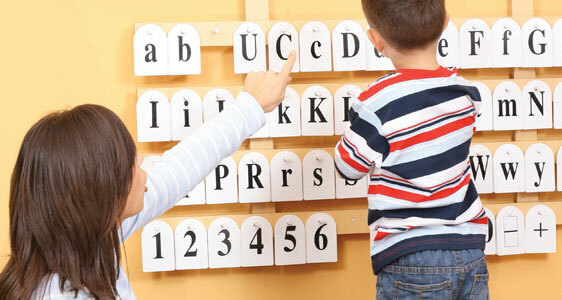 There are many educational options available for people enrolling in early childhood programs. An Associate in Applied Science degree in Early Childhood Education is designed to be completed in two years. A shorter diploma and certificate programs are also available. Day and evening instruction is available at the Lee Main Campus. All of our programs can be completed through distance education. While many students go directly into the work force, some choose to continue their education. Faculty academic counselors can help you select the best program to fit your goals. Jobs are plentiful. Are you the type of person who understands the importance of early childhood education and the need for caring, qualified childcare professionals and educators? Do you have the dedication and patience needed to make a difference in a child's life? Can you be an important person in the life of a child? Learn more about this noble calling. Explore a career in early childhood education. Early Childhood has "A-1" instructors who provide me with hands-on skills and information on childcare centers and job openings. It's thoroughly enjoyable to be back in school and CCCC provides such a nice learning environment. Demonstrate knowledge of community resources for teachers, families, and children. Demonstrate knowledge of social/emotional development, in children birth through 8 years-old. Demonstrate age appropriate ways of handling challenging behaviors. Develop and implement weekly lesson plans, covering all developmental areas of development, based on the children's developmental levels.